In today’s environment of constant digital transformation, B2B marketing work is growing increasingly complex. This is partly because of the exploding number of data, analytics, and automation tools now available, promising unprecedented insights into every aspect of the customer journey, but not necessarily helping us decide what to do with the insights we gain. It’s partly because the people we’re trying to reach are drowning in data, too (lest we forget, we are not marketing to businesses but to individuals within those businesses). This data is coming at them from every conceivable digital device and app, and we’re stuck competing for ever-diminishing scraps of human attention. It’s also partly because automation and remote working trends are changing not only the work we do but also when and where we do that work. What’s a marketing leader to do? How can we help our teams succeed in the present and prepare for an uncertain – albeit exciting – future of nonstop digital disruption? I recently had the opportunity to sit in on a series of interviews with business and marketing influencers about the leadership attributes that will be needed in this shifting world of work. Here are the six core values (or V-A-L-U-E-S) that grew out of those enlightening conversations. It’s true. 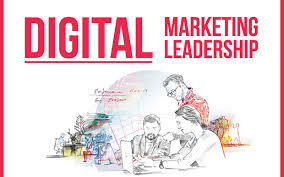 Leaders can no longer be an expert on every aspect of digital marketing. It’s too complex and it’s changing too fast. Google Analytics is only 13 years old, and Marketo is just one year younger. Brand pages on Facebook debuted in 2007, the same year the first iPhone was released. Infographics in their modern form didn’t really become ubiquitous until 2012. And mobile web browsing only overtook desktop browsing years ago. Media headlines have long touted ‘purpose over paychecks’ as being a key desire of the millennial generation, but is it really true? A survey by LinkedIn revealed that 74% of all candidates want a job where they feel like their work matters. And, interestingly, it also revealed that this desire actually deepens the further along you are in your career, with 48% of baby boomers prioritising purpose over pay and titles, compared with 38% of gen Xers, and 30% of millennials. Marketing leaders must know how to connect everybody’s work to a greater purpose, regardless of age or generation. And this is something you can’t fake. Communicating an authentic sense of purpose that aligns with core company values will work wonders; trying to manufacture a purpose in order to motivate employees will fall flat. Author and academic Angela Duckworth, who is the founder and CEO of Character Lab, speaks about the importance of grit in today’s leaders. She also literally wrote the book on grit. If you are or desire to be a B2B marketing leader, what’s your speciality? Are you excellent at demand gen? At content marketing? At blending classic with modern marketing tactics? Specialise in one area, and rely on your team for the rest. Getting to know real-life customers is essential in B2B especially. It helps us see the people behind the brands we’re trying to reach, and to understand their very human needs. In my role as a director of corporate marketing in the SaaS industry, where I do a lot of content marketing and other top-of-the-funnel work, I regularly attend software user groups around the country. It is hands down the best way to grasp our customers’ motivations, their pain points, and the messages they need and want to hear from us. I just spoke about gaining a first-hand understanding of customer motivations and pain points to help me in my role as a B2B marketer. What’s another way of saying that? Empathy. Empathy is more essential than ever in this digitally disconnected world, according to branding consultant and TEDX speaker Terri Trespicio. “I have to empathise with my customer, internal or external,” she says. “I need to understand their needs and realise what they have is something I can solve for them.” Not only does this help us connect with the people we’re trying to reach, it also adds an important layer to that sense of authentic purpose we need to find in our work – both for ourselves and for our teams. Until then, synergy it is. Paradoxically, this type of individual attention is what will get your team to see their own and others’ unique strengths and use them together toward a greater good – as long as the other values we’ve discussed thus far are also present. In times of uncertainty and change, especially change as rapid and far-reaching as digital marketers have been experiencing in the last couple of decades, a return to basic and universal V-A-L-U-E-S is precisely what is needed. B2B marketers who want to lead the rest of us into a volatile future must be willing to cultivate vulnerability and openness; an authentic sense of purpose; the right kind of laziness; understanding and empathy for team members as well as customers; and the ability to synergize a team of unique, purposeful individuals into a cohesive whole.